Last week’s news was relatively quiet with no data significant to the mortgage lending released until Wednesday, when the federal government announced a $138 billion budget deficit for May. According to the U.S. Treasury this figure is 11 percent higher than for May of 2012, but the federal budget is expected to come in with less than a -$1 trillion deficit for the 2013 fiscal year, which runs from October to September. The Treasury estimates that the 2013 budget deficit will come in at approximately -$642 billion, well below fiscal 2012’s deficit of -$1.1 trillion. The federal budget has been running deficits over -$1 trillion since 2008. On Thursday, the Weekly Jobless Claims report brought good news; jobless claims fell from the prior week’s 346,000 jobless claims to 334,000 jobless claims. This was also less than expectations of 350,000 jobless claims. As more workers gain steady employment, this will enable more would-be home buyers to become active buyers. May Retail sales also showed slight improvement as they moved from 0.60 percent from April’s 0.10 percent. According to Freddie Mac’s Primary Mortgage Market Survey (PMMS), the average mortgage rate for a 30year fixed rate mortgage rose from last week’s 3.91 percent to 3.98 percent with discount points unchanged at 0.70 percent. The average rate for a 15-year fixed rate mortgage rose from last week’s 3.03 percent to 3.10 percent with discount points holding at 0.70 percent. Next week’s economic news schedule has a number of reports due including Wednesday’s FOMC statement and Fed Chair Ben Bernanke’s press conference. This meeting and press conference are significant as any move by the Fed to reduce or cease its current quantitative easing (QE) program could cause mortgage rates to rise further. Monday’s news includes the Home Builders Index for June. Tuesday brings the Consumer Price Index (CPI) for May and the Core CPI, also for May. The indices measure prices paid by consumers for goods and services; the Core CPI eliminates the volatile food and energy sectors included in the CPI. Rising or falling consumer costs influence how much discretionary income consumers have for saving toward buying a home. No news is scheduled for Wednesday other than the FOMC statement and press conference. 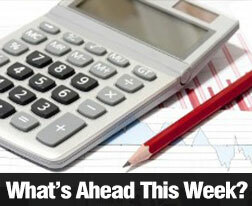 Thursday brings the Existing Home Sales Report, Weekly Jobs Report, Freddie Mac PMMS and Leading Indicators. These reports are expected to provide news about U.S. housing markets, mortgage rates and economic influences impacting consumers. There is no economic news scheduled for Friday.